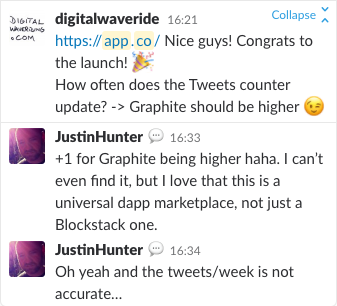 This is a repeated request from both the Telegram/Slack/Twitter (see screenshots). As part of #824, I need to modify the on-boarding screens to support our new Gaia hubs. The pitch to users is that they can choose their own storage provider. However, this now only applies to power users. Without at least having Dropbox as an additional option beyond Default Storage, everyday users are left with a centralized storage option. It’s probably not enough short-term and definitely not enough long-term to ask users to configure Gaia hubs in order to achieve decentralization. 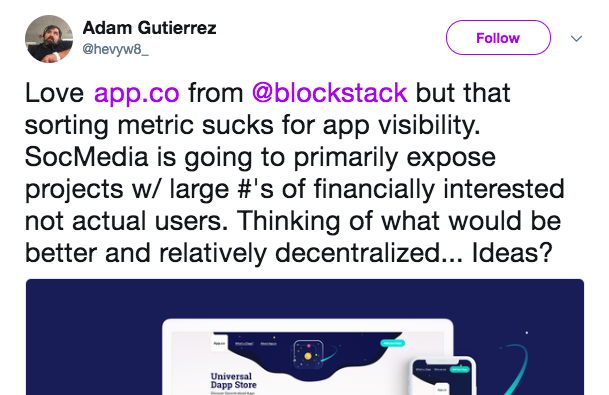 We’ve discussed this in a previous meeting and it was agreed this is a core Blockstack development issue, not one that should necessarily be handled by the community. The other half of this is the ability to replicate data across storage providers. In a recent podcast, Muneeb said that in the onboarding Blockstack encourages users to have at least three backups for replication. Unless I’m missing something, that’s not possible. Would love to see a general timeline for true user-chosen storage in the Browser and a timeline for data replication. 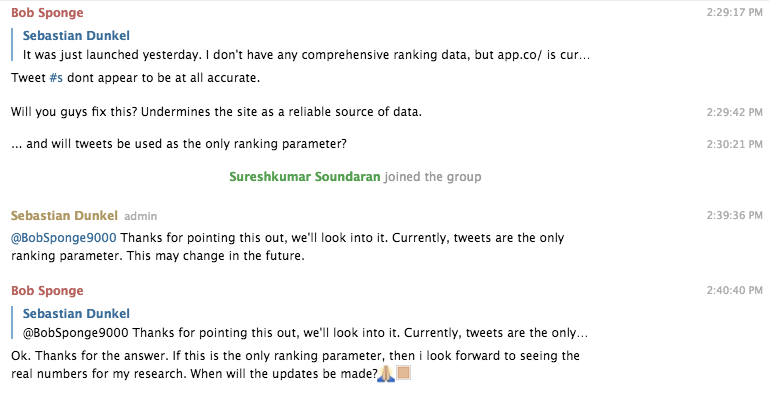 Also need search bar in app.co to get the desired dApp.